Panoramic view inside the rear seat of the Ryan PT-22A Recruit. Improved from the earlier PT-16, the PT-22 was a military trainer aircraft used by the United States Army Air Corps and it successor, the United States Army Air Forces. 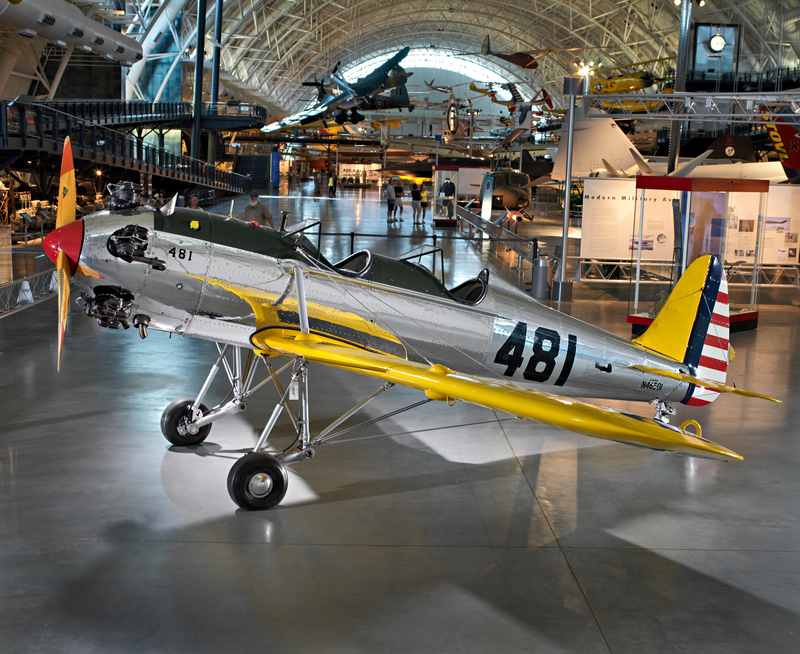 It was the first low wing monoplane used for primary pilot training and made for a smoother transition to more demanding low wing fighters during World War II. The Army Air Forces accepted 1,023 PT-22s. Ryan also built additional aircraft for the U.S. Navy, and as part of Lend/Lease contracts with China and other Allies. This Recruit was originally the third of twenty-five built under contract as a float plane trainer for use in the Netherlands East Indies but the sale fell through after the N.E.I. surrendered to Japanese forces in May 1942. 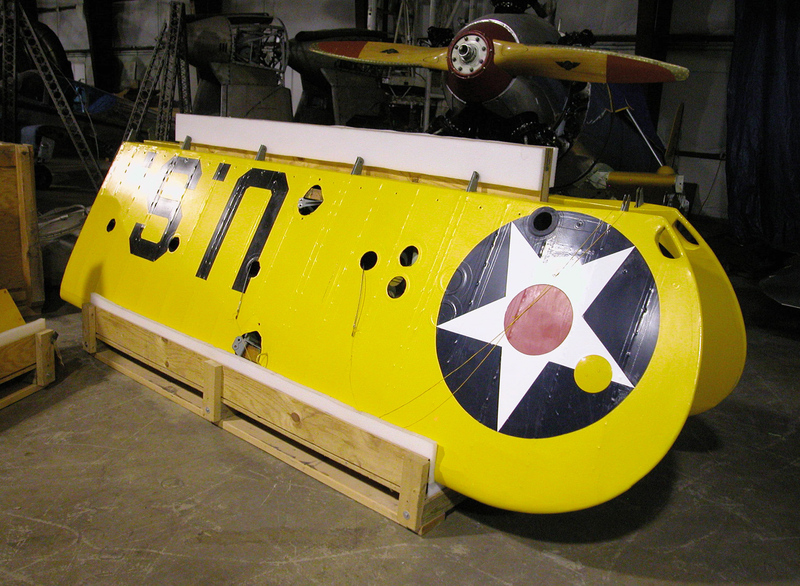 It then was used as an AAF trainer until declared surplus late in the war. Since 1944, this Recruit has had nearly two dozen owners who have cared for and preserved the aircraft-some have flown this aircraft in air shows, others just for pleasure. Gift of John M. Damgard. All metal fuselage, cloth wings and control surfaces. 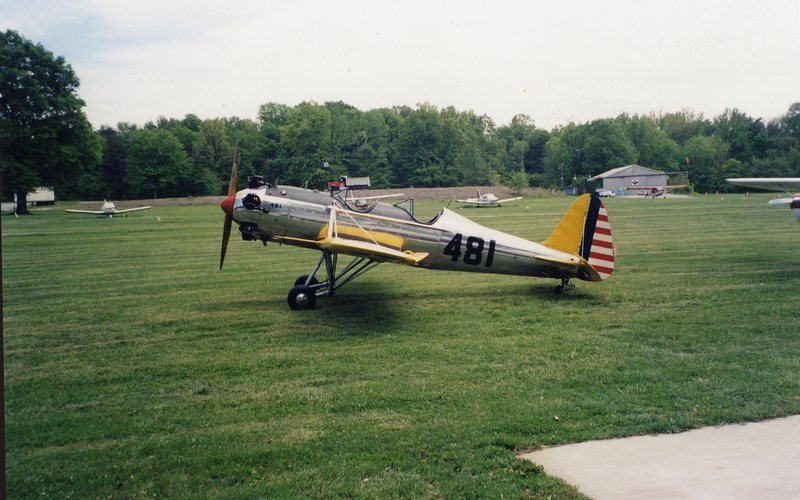 Ryan PT-22A Recruit, propeller driven, primary flight trainer.